Before we get into video marketing practices, let’s be clear, there are plenty of choices to be had when taking into consideration 2019’s marketing budget. Depending on what your business is looking to achieve, be that increased engagement with their online audience, better brand awareness and reputation, increased trust, etc., businesses from most industries need to tackle digital marketing. They also need to take into account their budget, timelines, goals, and other similar variables to strike the right balance between what resources they have and what they hope to achieve. Some may be inclined to go for SEO, social media, or email marketing, while others will try their hand in pay per clicks (PPC), content, or influencer marketing, among many others. One particular subset of digital marketing should not be ignored going into 2019 – video marketing. Four times as many consumers prefer to watch a video about a product than to read about it. It is due in part thanks to the fact that two-thirds of the information provided by video content last three days longer than text. Likewise, roughly 64% of people will be more inclined to purchase after watching a product video online. Well over half of all internet users watch online videos every single day. Facebook generates roughly 8 billion video views per day (100 million hours of video watched), providing more organic engagement and reach than posts without video. YouTube says that mobile video consumption on the platform increases by 100% year after year. Also, 92% of mobile video watchers share these videos with others. Social video generates 12x more shares than images and text put together. A video on a landing page will be able to increase conversion rates by 80%. Some 90% of users say that product videos help them in their decision-making process. Videos present in emails increases the click-through rates by as much as 300%. Some 87% of marketers are already using video in their marketing campaigns. They also mention that these videos have increased their conversion rates by 34% and have experienced a 49% faster revenue growth. Likewise, they also experience a 41% more web traffic from search. Over 80% of users can recall a video-ad even after 30 days. People spend, on average, three times longer watching a live video than a prerecorded one. Lastly, some 59% of senior executives say that if there were both a text and video version of the same topic on the same page, they would prefer to watch the video. All of these numbers and statistics presented here are but the tip of the iceberg that video marketing can provide to an organization. Nevertheless, they all stand to show the importance of video content going into 2019. As presented by the statistics above, video content production today is at an all-time high. With more and more technology being available at affordable prices, and with easy-to-use, freemium video software ready for download, video content creation hasn’t been more straightforward. It means that the marketing landscape is now full of new, creative, and easily accessible solutions for video creators who are willing to get into the game. From a video production point of view, professional video creators may experience a rise in competition. Nevertheless, this also implies that there will be more and diverse services available, reaching even those clients who previously saw video marketing as something out of their budget range. From a marketing perspective, however, high-quality smartphone cameras and social media native in-app shooting, editing, and hosting, are making things as easy as never before. All of these trends are a result of the natural progression of the industry towards more and more video content, ensuring that even small to medium businesses can take full advantage of the phenomenon. Agencies focusing primarily on video production have been changing steadily over the past several years. But with this sharp uptake in video content all over the internet in recent times, early adopters and turnkey production companies are on track to becoming stand-alone video content production agencies. Like we’ve mentioned above, the increase in demand for all sorts of video content is growing at an almost exponential rate. It includes everything from the long-form type of video content to as short of several seconds long. Brands will make use of different kinds of video as part of a comprehensive video marketing campaign. It means that companies dedicated to video production will see a steep increase in demand in 2019. With so much hype circulating video content and marketing nowadays, YouTube has created a playbook, highlighting some of the best practices that contribute to some of the most successful ads on their platform. These talk mostly about how these can increase brand awareness and other such benefits. The Use of Familiar Faces – In broad terms, this refers to influencers such as celebrities, local leaders, community members, or even well-known employees. Their research indicates that recognizable people at the beginning of a video can increase its viewership. Humor and Emotion – There’s a reason why PowerPoint presentations are at times seen as boring. It’s because they don’t include either humor or any emotional appeal. They primarily focus on facts and statistics, but this is nowhere near enough. People are designed to remember things better if there is emotion involved, be it enjoyment, humor, or even fear. It can easily translate into ads and other such similar videos, as these simple examples of emotion do a better job at capturing one’s interest and attention. Use Both Video and Audio – While this may seem logical, YouTube has, nevertheless, added it to their list of best practices. Their statistics indicate that there will be a 20% brand awareness increase for businesses that are exposed to a video that also has quality sound. 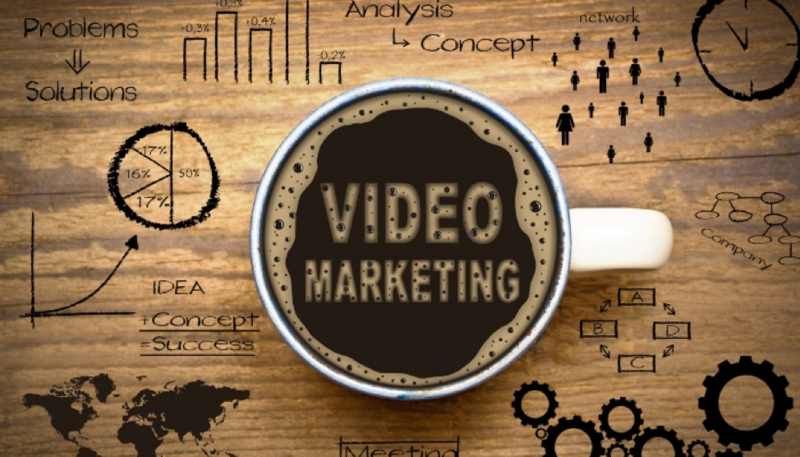 It is safe to say that 2019 will be an important year for video marketing and video content. There are no signs that will be replaced by something else anytime soon, and it’s for this reason why businesses need to stop looking at video marketing as a passing trend. Want to learn more? Talk to a professional Content Monsta!